Amazing! Ohio has an opportunity to be #1 in the world developing a new industry - a new economy - better and different than anywhere else in the world  - ahead of the other 49 states in America and every other country in the world - as citizens of California foolishly failed to pass Proposition 19 today . Supporters include the California branch of the NAACP, state chapters of the American Civil Liberties Union, the California Young Democrats, the Republican Liberty Caucus, the California Council of Churches, and several big labor unions. "The Obama Administration has been clear in its opposition to marijuana legalization because research shows that marijuana use is associated with voluntary treatment admissions for addiction, fatal drugged driving accidents, mental illness, and emergency room admissions," Kerlikowske said. What tools of old economy polluting industry our PROGRESSIVE (sic.) Democrats have proved to be ! I can't wait for 2012 and the next Presidential election! The next two years are going to be fun, for a change... I love a GOOD WAR. Obama and Democratic leadership in California and America have really blown it, pimping for warmongering, pollution, prisons, racism, booze and other special interests that harm citizens - especially harming poor minority citizens, their families and communities  - and one must wonder why Obama and his ilk want to lock up all our young black and Latino men in America?!?! Bunkered in for their intoxicated, corrupt, ignorant drug war , like with Afghanistan, Democrats will suffer more ill consequences nationwide for their regressive approach to God, personal freedom, liberty, the environment, public health, civil rights and the economic growth of our nation. Bye Bye Obama.... LAME DUCK for sale . "This is the first time major elected officials and labor unions and civil rights organizations have endorsed a marijuana legalization measure. The debate is less about whether to legalize marijuana and increasingly about how to legalize marijuana"... backers said they would try again to legalize pot in 2012. 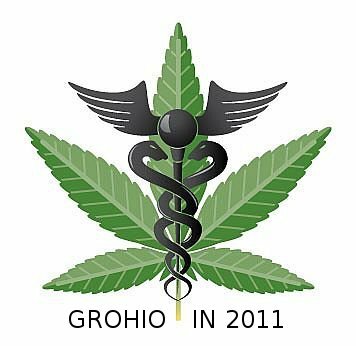 Ohioans, no longer Stricklanded , have the opportunity to exercise some independence and vote smarter than California, in 2011 - pass our own Proposition for legalization, regulation, development and taxation of our cannabis economy  (which is probably at least a $10 billion per year illegal industry in Ohio now) - literally closing Ohio's $8 billion state budget gap and giving the new Governor the wiggle room he needs to cut state taxes and be a hero, with one act of legislation. Kasich seems smart and free-enterprise enough to get on board, if he hasn't sold out to special interest like Obama has. I'll be driving this initiative through every political office in Ohio, like a freight train... IN 2011... a year before California can regroup, and as we ramp up to elect a truly progressive President in 2012 - picking up passengers who want a new economy and rolling over the polluting opposition as needed. I think those now in power should know what to expect in the coming months and years, and to know the opposition will be hit hard and from all directions. Speak up if you want to ride the new economy train... or be flattened. It is a new day in Ohio, and Californians made this our brightest, greenest new day ever, FOR REAL. Thank you Obama et al - your ignorance may cost you and the Democratic party dearly , but that is YOUR FAULT for playing stupid, and YOU gave Ohio the edge we need to snap out of our 40-year decline  into pollution, rust and decay, to build the Brightest Greenest Economy in the WORLD, which will benefit 1,000,000,000s of suffering people for generations to come... long after Obama is just a footnote in American History. What was your strategy for saving the economy again, Mr. President? Ms. Boxer.. Ms. Feinstein... Mr. Governor Strickland? $trillions more in deficits... more industrial bail outs... attack North Korea and Iran for MORE WARMONGERING? Bad plans... sell-out old industrial Democrats lose. America, OHIO, God and the world shall win in 2011, and forever after!